The Raj Colitis Program, based on the science of Maharishi Ayurveda, provides the most comprehensive and natural approach to colitis available today, both in terms of identifying causes and in providing treatment. From an Ayurveda perspective, colitis is caused by an inappropriate immune response in the intestine to some toxin or infectious agent. While we tend to think of toxins as outside chemicals, a buildup of impurities in the body due to poor diet, digestion and elimination can also activate this excessive immune response. In addition, the accumulation of stress and/or an erratic lifestyle can destabilize the immune system and predispose the body to an inappropriate response. Certain foods can also activate the response. Because so many factors can be involved in the onset of colitis, the natural, multi-modality science of Ayurveda is an ideal approach. During your initial Ayurvedic evaluation, our experts will identify the specific imbalances at the root of your condition, and create an individualized program to help restore balance. The Raj Ayurvedic approach is a comprehensive one that helps to balance many physiological functions simultaneously, with no negative side effects. With So Many Options, Why Choose The Raj? Our goal is to help you progress toward balanced health during your stay and to give you the knowledge and tools you need to enjoy continued improvement when you return home. Our Ayurveda Experts will design an individualized Colitis Treatment program for you. You will leave with specialized recommendations to allow you to continue your progress at home. For 25 years The Raj has lead the field in Ayurveda treatments. By accepting only 15 guests at a time, The Raj maintains the highest quality of individualized service and treatment. Ayurvedic experts, Mark Toomey PhD and Vaidya MP Manohar, work in conjunction with Dr. Robert Schneider, MD, to create an effective, customized program to address your colitis condition. By identifying the source of your colitis condition using Pulse Assessment, an individualized treatment program can be created that will effect significant changes, naturally and holistically. With an emphasis on prevention, and utilizing only natural approaches, The Raj colitis treatment program removes toxins, boosts the immune system, and promotes health and vitality. All of our treatments have been approved by the Maharishi Ayurveda Council of Physicians, a consortium of Ayurvedic doctors, considered the gold standard of Ayuveda. "The Raj is truly a place to regain a radiant state of health, spiritual well-being, and youthfulness." "One of the four recommended silent/meditative retreats." "The center is both an enlightening and a therapeutic experience for those who are seeking a better understanding of their body and metabolism." "By my second day, I began to notice that tension and imbalance seemed to be lifted from my body. I felt renewed, refreshed, with a clearer peace of mind, and it was like nothing I've felt before." "One of the top seven destination spas capable of customizing an intimate, personalized spa experience that meets individual health goals." How does Ayurveda address the underlying causes of colitis? According to Ayurveda, the accumulation of toxins and impurities in the body are the source of most chronic conditions, including colitis. Colitis is a chronic disease of the large intestine, or colon, in which the lining becomes inflamed and develops tiny open sores, or ulcers. The combination of inflammation and ulceration can cause varying degrees of discomfort in both the abdomen and colon. Ayurveda describes how toxins and improperly digested food can get deposited between the villi in the intestines, lining of the colon, and impairing the delicate biochemistry of the area. As impurities continue to coat the intestines, the flow of nutrients into cells and waste out of cells is impaired. This build-up of impurities is perceived as threat and the body’s natural defenses become activated. The immune systems reacts by sending white blood cells into the lining of the intestines, where they initiate inflammation and ulceration. Inflammation and excess fluid secretion are a part of the natural body defense mechanism to help dilute and wash away impurities in tissues. When the buildup of impurities becomes so great as to make this process hyperactive, it can result in colitis. The Raj Ayurveda Treatment Program for Colitis offers many tools to improve digestion, eliminate the buildup of impurities, reduce the blockage of circulation to colon, and create a bacterially friendly environment in the colon. At the heart of your treatment program are the traditional Ayurveda detoxification and rejuvenation treatments, called Panchakarma; an integrated series of treatments and procedures that, taken together, dislodge impurities from the cells and tissues and flush them from the body. These treatments are gentle, yet powerful, cleansing therapies that remove the toxins and impurities from your tissues and help open the channels of circulation and elimination. These treatments also help to rebalance and strengthen the body’s natural healing mechanisms. For a detailed description of Ayurvedic Treatments, click here. Why is there such a focus on digestion in treating colitis? Because colitis can be influenced by many factors, such as diet, digestion, toxin accumulation, stress, exercise levels, a hectic lifestyle and environmental toxins, the condition responds well to the comprehensive approach of Ayurveda, which balances many physiological functions simultaneously. According to Ayurvedic, healthy digestion plays an integral part in establishing good health and well-being, no matter what disorder or health issue you are dealing with. When the digestive system fails to function optimally, the body becomes congested with a sticky toxin that blocks circulation and inhibits the body’s natural ability to detoxify cells and tissues. For this reason, good digestion is a prerequisite to good health. Our colitis treatment program focuses on healing the ulcers, restoring the normal function of colon, and supporting the overall health of your digestive system. How do the doshas affect colitis? Ayurveda holds that good health is based on the proper balance of the three fundamental governing forces in the body (doshas: Vata, Pitta and Kapha). Disturbances in both Pitta and Vata doshas can be involved in the flare up of colitis. Pitta dosha is the principle governing transformation in the body, including digestion, metabolism, and assimilation. When Pitta dosha becomes imbalanced, problems can occur with the intestines. Chronic imbalances in Pitta can lead to severe inflammation and ulceration. In addition, Vata dosha, the principle of movement in the body, can also play a part in colitis. An imbalance of Vata in the lower colon can block the proper functioning of Pitta and Kapha, leading to inflammation and the accumulation of mucous. Not everyone has colitis for the same reasons. Poor diet, weak digestion, stress, a hectic lifestyle and the accumulation of impurities in the body can all play a part in creating Pitta and Vata imbalances. This is why your initial Ayurvedic evaluation is such a critical component of your in-residence treatment program. Using the ancient technology of Pulse Assessment, The Raj team of Ayurveda experts can indentify specific imbalances in the functioning modes of the body and create a customized program to restore balance. These underlying imbalances are at the or your condition and must be addressed if real healing is to occur. 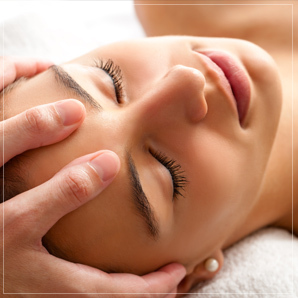 Powerful yet luxurious treatments remove impurities and imbalances, restoring and reawakening the body’s healing powers. Start now on your path to greater health and vitality. Ayurveda, Yoga and meditation complement one another, increasing each other’s benefits. Enhance your health experience with organic food and organic ingredients used in all of your Ayurvedic treatments. The Raj offers à la carte consultations with our Ayurvedic experts, as well as luxurious day spa treatments. Remove the root cause of chronic conditions with treatments that remove impurities and toxins from the cells, tissues and joints. The benefits of Ayurveda are profound and have been well documented both by research and by case studies. I feel energized, rested & rejuvenated. The Panchakarma Program at The Raj has fully restored my digestion so that my body can receive the nutrition it needs. As they say “you are what you digest. After doing Panchakarma my years of acid reflux felt better in 5 days. I will continue to use Ayurvedic diet for my reflux. The whole crew did a wonderful job of guiding me through my unique physical needs and healing processes. Top notch care! Very understanding staff. Guests arrive at The Raj with their own personal set of health and wellness goals. Our commitment is to help you understand your unique individual nature, to identify areas of imbalance, and to create a customized treatment program to address your needs. Our all-inclusive packages include everything you need to experience optimal results, and to continue your progress when you return home. Call for more info about our programs, rates, location, and anything else you might be wondering.